The Do 335 employed a unique engine arrangement, with one engine in the nose and one behind the wing, the latter driving a propeller in the extreme tail. 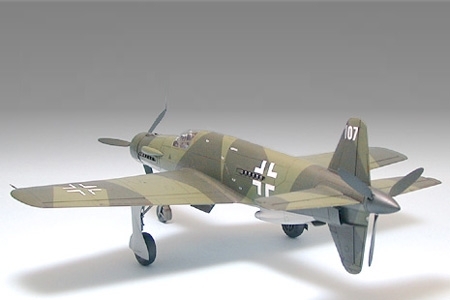 The Do 335 was a fast and powerful aircraft, but its total production did not exceed 28 by the end of the war. It mounted two 1305kW Daimler-Benz DB603A-2 engines, had a wingspan of 13.80m, length of 13.85m, height of 5.00m and could reach speeds of 770km/h. Its range was 1380km. Development of the aircraft was started in 1942, and the Do335V-1 version made its maiden flight in October of the following year. The A-0 and A-1 versions of the aircraft mounted one 30mm and two 20mm machine guns in the nose. 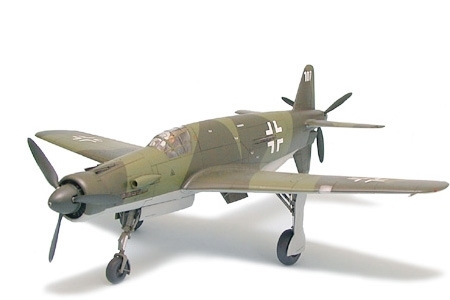 Although various improvements were made to the fighting strength of the aircraft, the close of WWII precluded the Dornier Do335A Pfeil from entering actual combat. Tamiya"s next addition to the 1/48 Aircraft Series is the Dornier Do335A Pfeil. 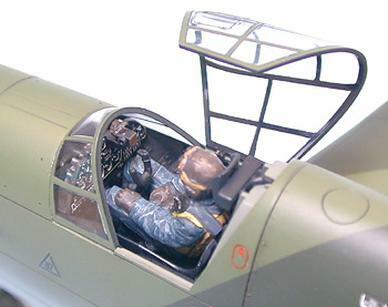 The unique shape of the fuselage and wings of this unlikely aircraft have been recreated in outstanding detail. 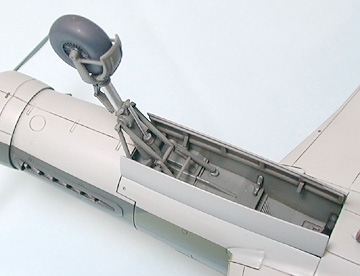 Model features bomb hatch which can be modeled in the open or closed position. Canopy can also be set in open or closed position, and contains one pilot figure. 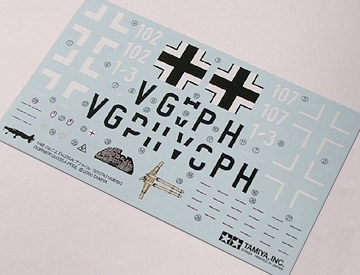 Kit includes one 500kg bomb and decals for three types of planes.